Each Pumpkin Tealight Holder has a spot for a tealight. 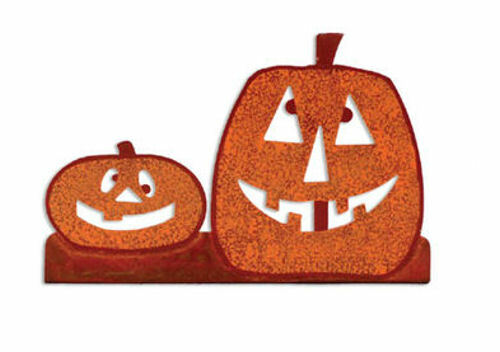 Their goofy faces will liven up your Halloween – just add votives, light, and enjoy the Pumpkin tealights warm, orangy glow. A great addition to your Halloween decorations. Be the first to review “Pumpkins Tealight Holder” Click here to cancel reply.